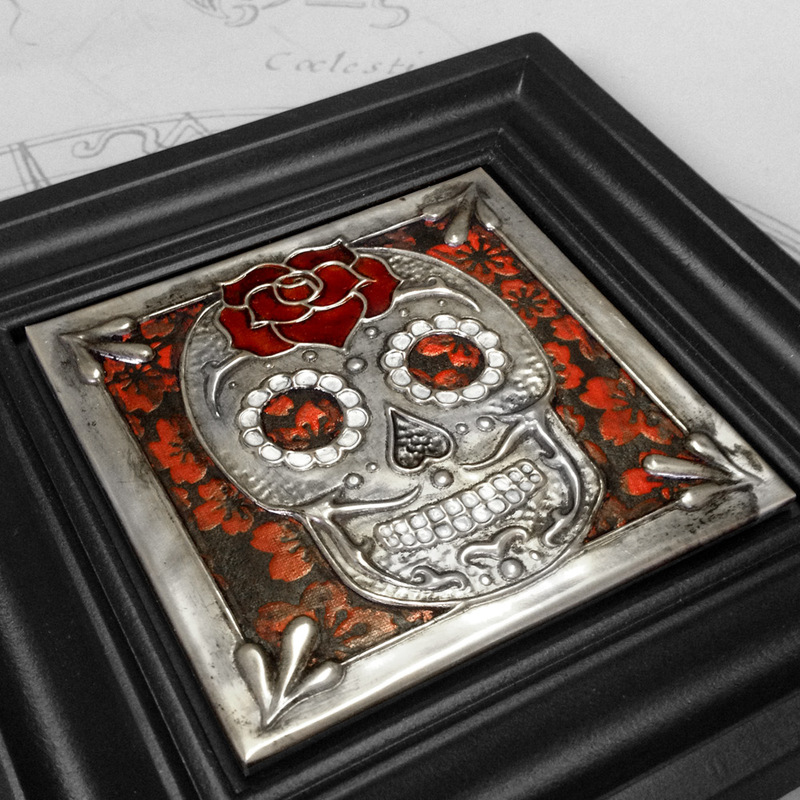 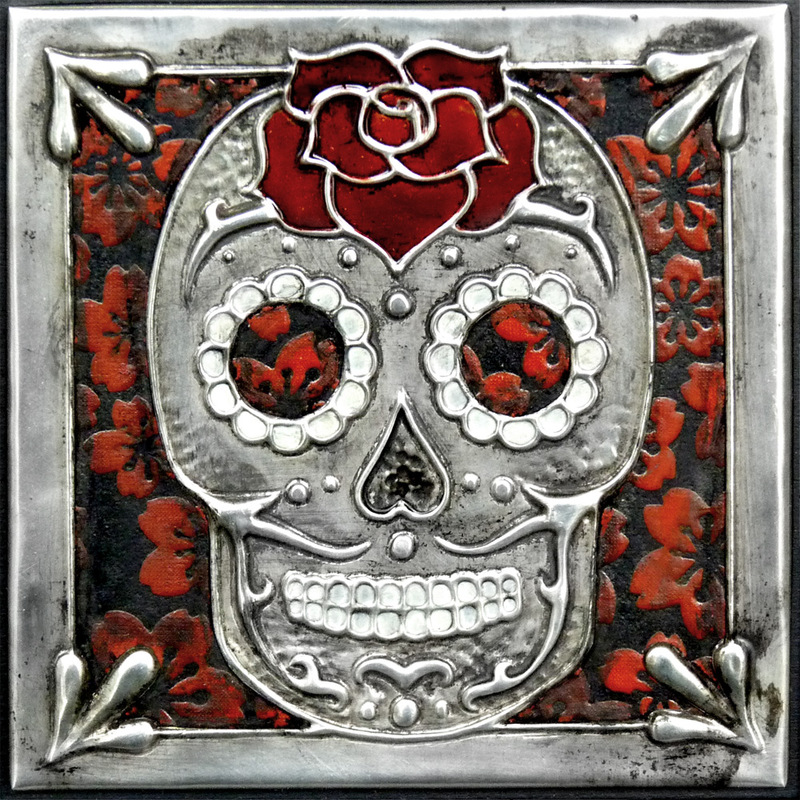 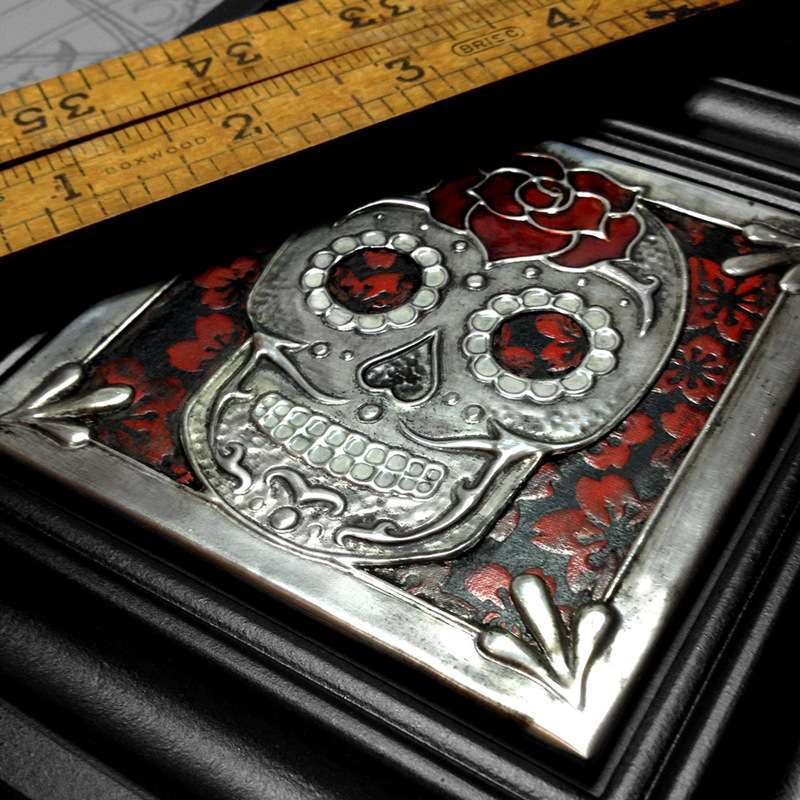 Embossed panel: 8.7cm x 8.7cm / 3.4" x 3.4"
A little Day of the Dead skull created for a themed exhibition. 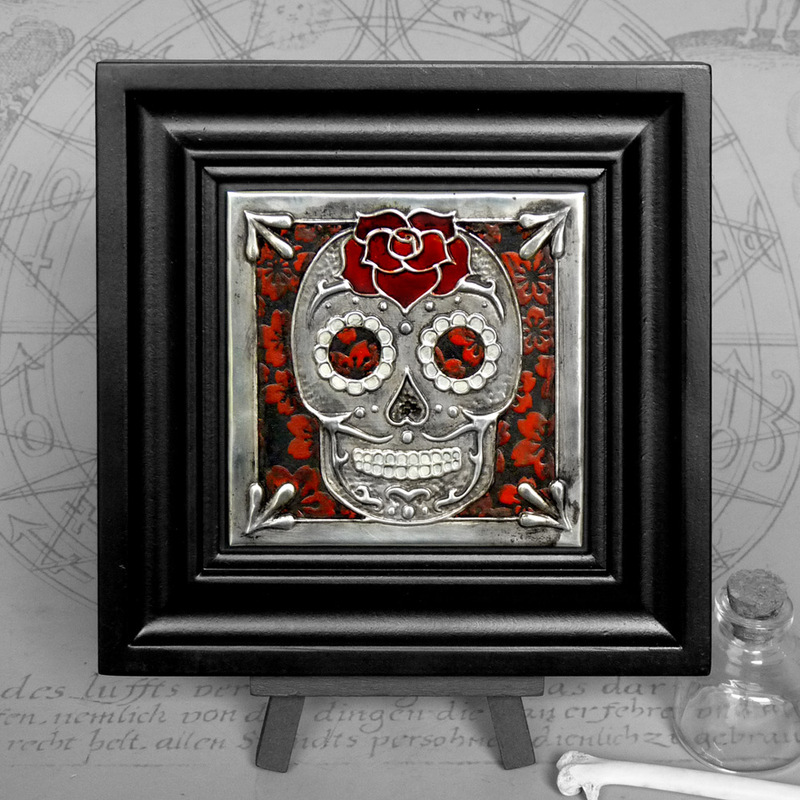 This rosy lady has cut-away areas revealing a textured red and black floral paper. 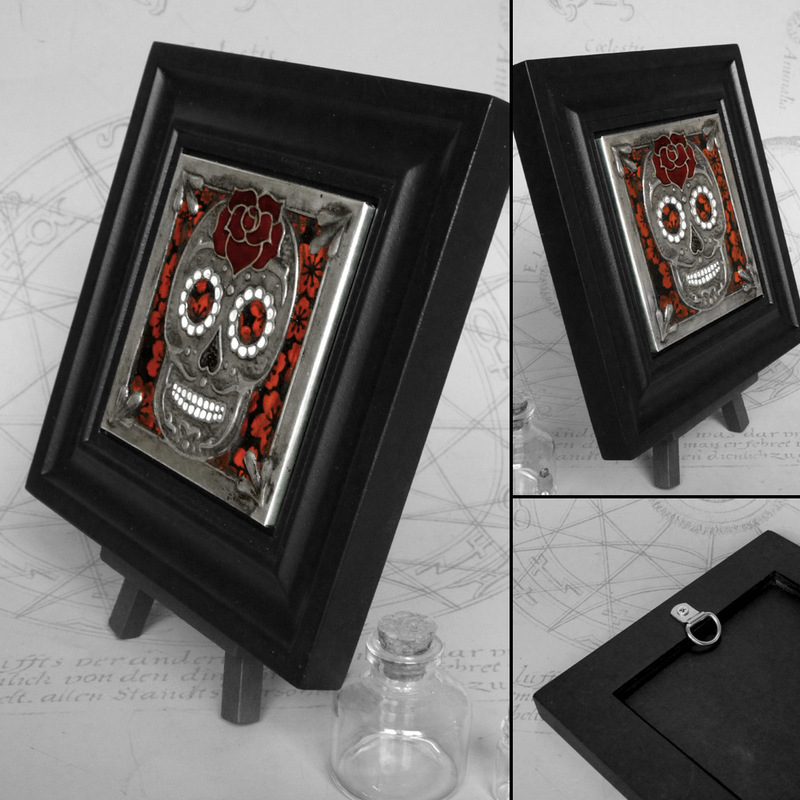 The piece is polished to a high shine, finished with black antiquing wax and set in a black wooden frame.